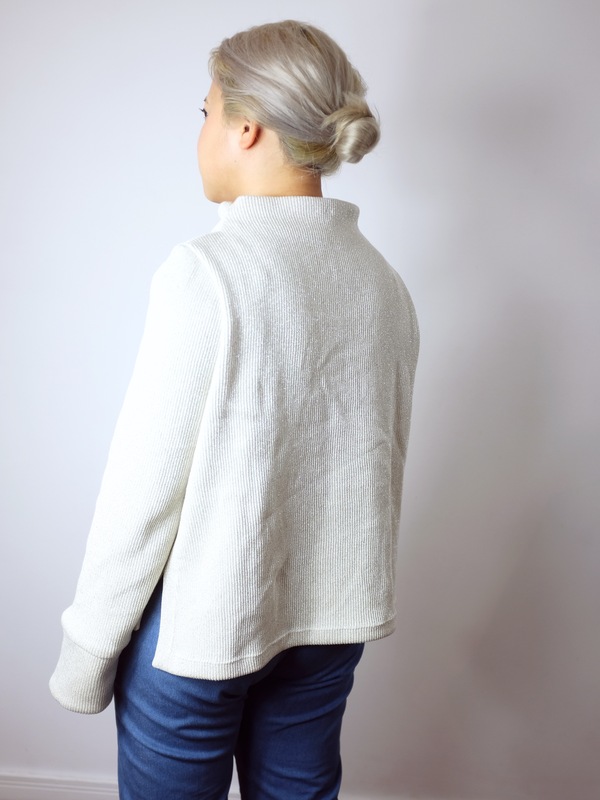 So, if you haven’t figured it by now, the first item of the 12 month sewalong set up by Alex over at Bluebird Fabrics is this – the Toaster Sweater #2 by Sew House Seven. 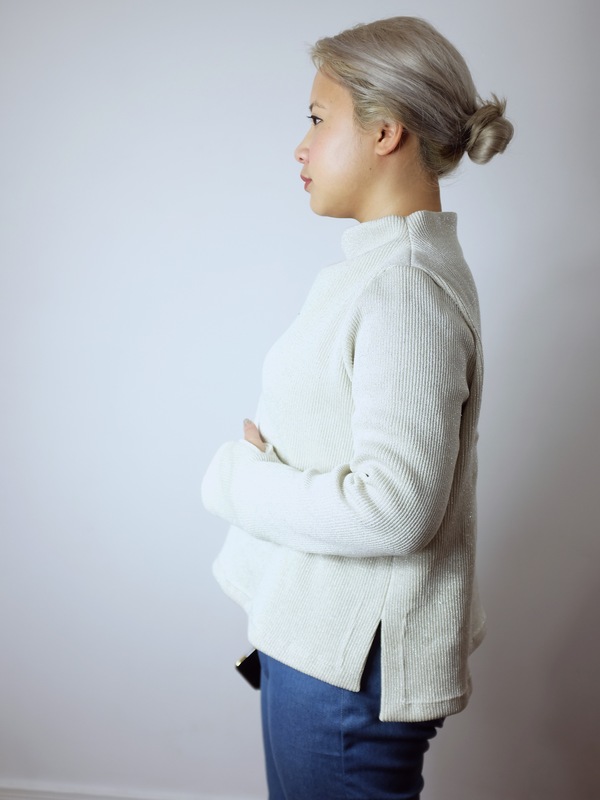 You might have caught the first glimpse of mine here when I made a tutorial on adding thumbholes and cuffs to my sweaters. I thought I’d hold off on posting the full thing until this week when everyone else will also be finishing off their #sewmystyle sweaters! I knew with this sewalong, there would be items I wouldn’t immediately drawn to but then my challenge was how was I going to alter and change that pattern to something I did like. With this Toaster Sweater, most of the hard work was finding the right fabric. I lucked out and came across this lovely metallic ribbed knit in Walthamstow market which at first sight, I knew would be the perfect fit for this pattern. I usually like my sweaters a little oversized so I opted to make a M-L version. (I kind of regretted that later as I hadn’t realised a) just how wide the hem would really sit and b) how stiffly the fabric would fall). I did keep it at the original length though. I know a lot of people weren’t keen on the length and chose to add to it but I kind of liked it! 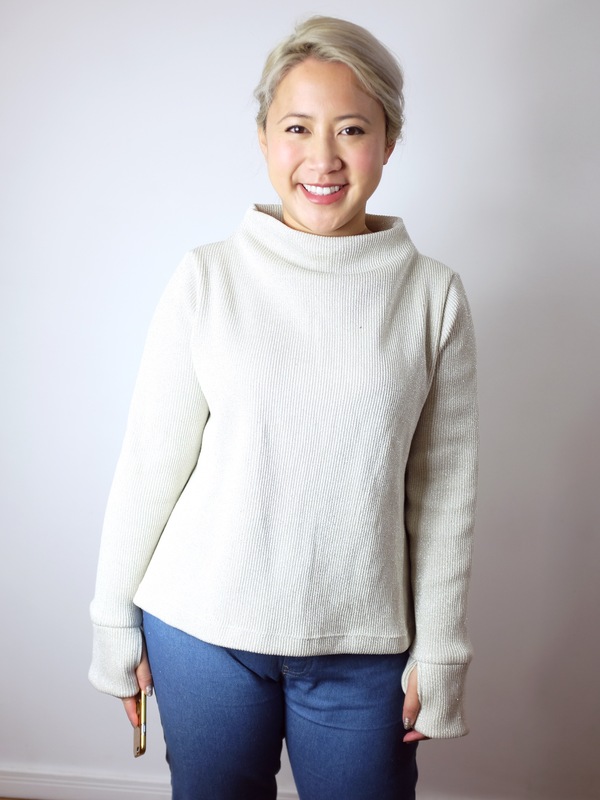 The fabric was really easy to work with and this is a very quick sweater to make – so no excuses to not finish in time for those joining in with #sewmystyle! I overlocked the seams where I could but I did most of the work with a regular machine with a zig zag stitch. The edges I finished with a twin needle which was a little awkward when going around corners but I much preferred this finish to just a zig zag. I like it! I think it could do with being a little narrower in the body (it’s very much a swing sweater in it’s original form) but overall it’s definitely something I can add to my regular wardrobe and I can see myself getting a lot of wear out of it. Plus I love my addition to the sleeves! A reversible velvet slip dress! My 2017 #makenine so far! I need to get me some sweater material! Love the sleeve hack. May copy! Thanks! The thumbholes really help to make it even cosier than normal! I have this pattern sitting on my cutting table right now so I was excited to see what you did with yours and I LOVE those thumb holes and I’ve bookmarked your tutorial on how to do them. I don’t know what it is about this sweater that I love so much – like you at first I thought, “Do I really need another knit top pattern? ?” but the more I looked at it the more I liked it. 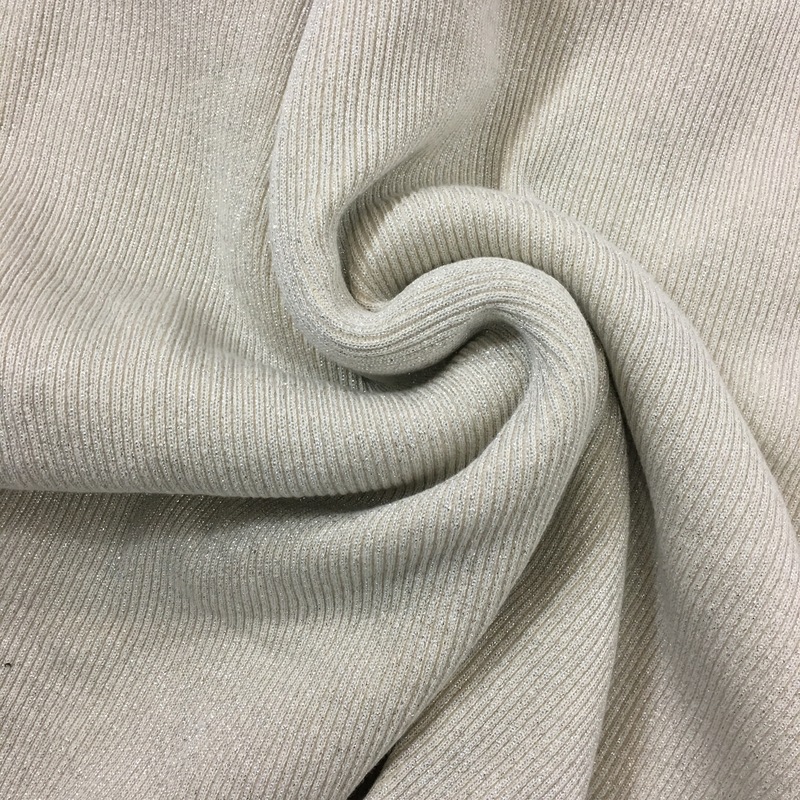 It has ALL the elements I really like – a tunnel neck which is not turtleneck annoying but offers some warmth around the neck and the mitered hem and now with your guidance it will have thumb holes too 🙂 I love your fabric! 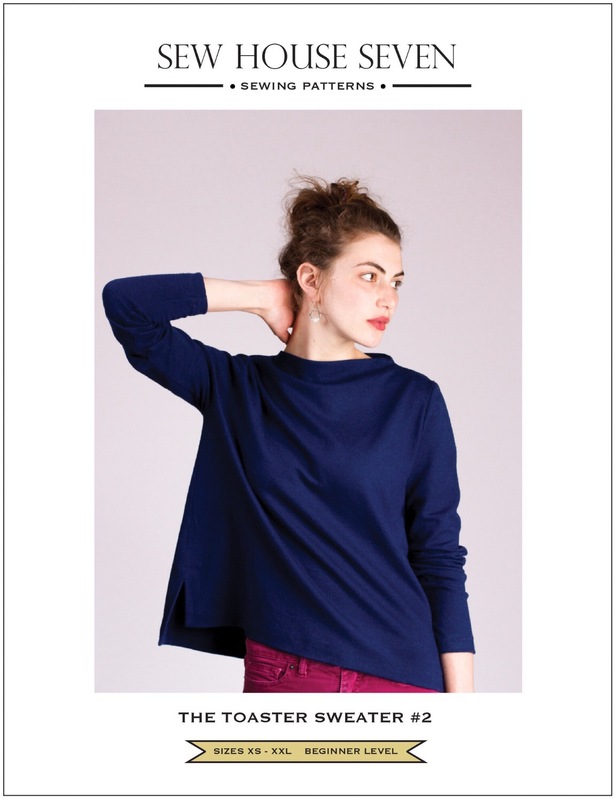 The knit I’ve chosen is a super warm dinetex knit from Thread Theory which will make it waterproof as well as warm. 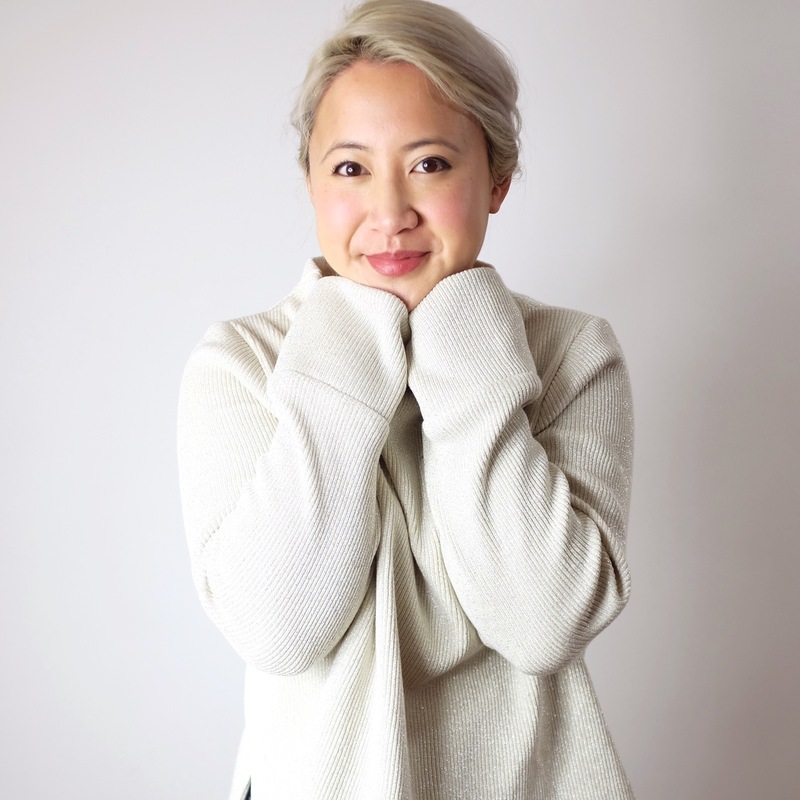 I need a nice warm sweater here on the west coast of Canada 🙂 Thank you for such a great post! You can always do with another knit top! You can never have too many when you live somewhere cold! Lol.